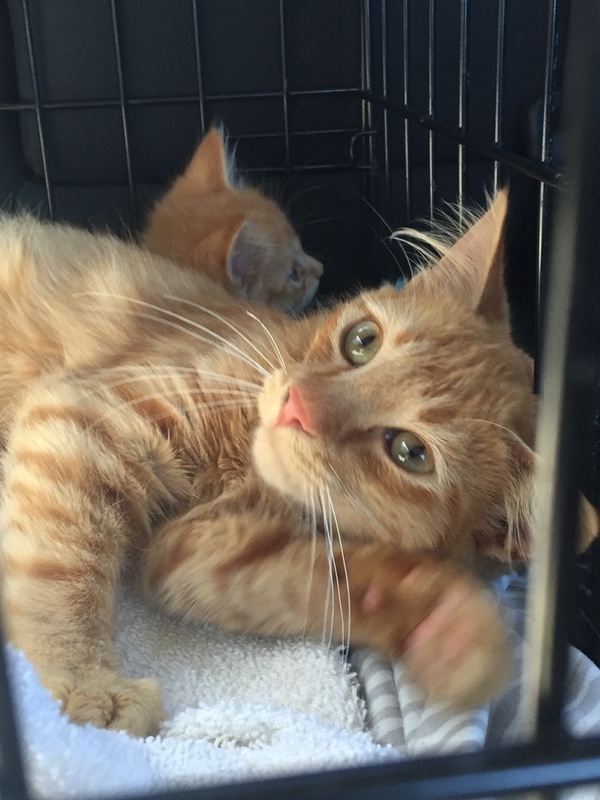 The Cats of Hazzard came to Umbrella of Hope Rescue from Southern California when one of our supporters saw them being given away online. Luke and Daisy were born around 9/1/16 and have tentatively been diagnosed with bilateral femoral head hypoplasia, tibial agenesis/hypoplasia and multiple metacarpal agenesis/hypoplasia. Their x-rays have to be sent to a specialist for interpretation. Uncle Jesse is the older brother to Luke and Daisy. He was born to the same mom around 4/17/2016. He has the same (tentative) conditions that the younger two have (bilateral femoral head hypoplasia, tibial agenesis/hypoplasia and multiple metacarpal agenesis/hypoplasia) but he also has right femoral agenesis. His x-rays need to be reviewed by a specialist as well. In layman's terms, it means that for some reason bones in their back legs did not form all the way or at all. 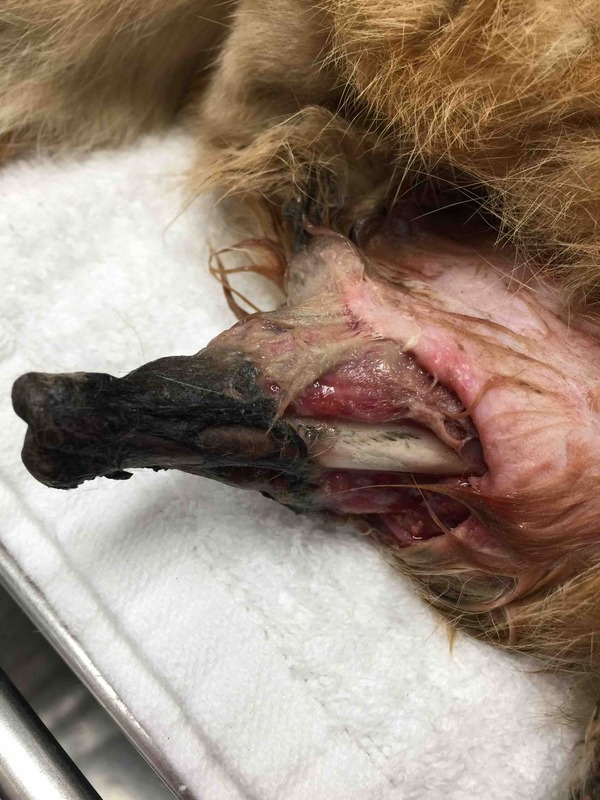 There is obviously some genetic abnormality going on and we will need to pursue advanced diagnostics and consultations at a veterinary teaching hospital to see if there is anything to be done or any corrective surgeries, prosthetics or other therapies that can help them. They will be available to adoption once they have finished all of their medical specialty appointment with us which is estimated to be towards the end of the year. We are looking for homes who will continue their journey on social media as we feel that they are beautiful ambassadors for animals who are just a little bit different on the outside but who can lead happy and full lives and who deserve a chance. We arranged for the mom and unaffected siblings to Luke, Daisy and Uncle Jesse to be microchipped, vaccinated and spayed/neutered to prevent any future accidental litters. Umbrella of Hope is a 501(c)3 animal rescue that is run ENTIRELY by volunteers. We receive zero government funding and we save these babies by donations from people like you. 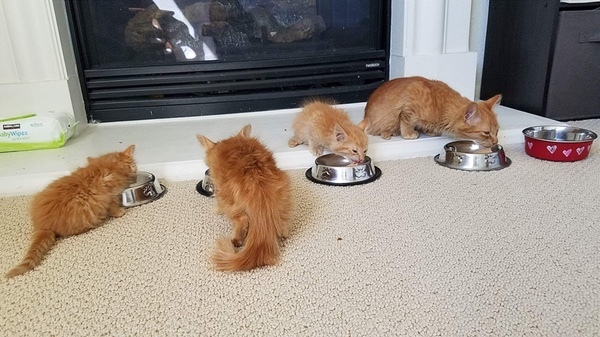 We are trying to raise the funds needed to get these kitties to the appropriate specialists and make sure that they have every bit of care that they need to live full and happy lives. We focus on senior, special needs, medically needy, shy and plain small dogs and cats/kittens. We have saved over 1800 animals in last 6 years and over 80% of these animals have been seniors or had some sort of medical need. We can be found at www.beourpet.org and our Asilomar Statistics (intake and outake statistics for the rescue) and our 990 Federal Tax Returns can be viewed at the bottom of the home page. All donations are fully tax-deductible. Pawnald Trump is still hospitalized... he is trying to keep his spirits up by keeping up with his social media accounts. You can see him in all of his glory with "Hail to the CatChief" playing in the background. We are still over $6000 short of our goal to save his right front and back left leg... we really hope he gets to remain a 3 legged cat, but he HAS to keep at least one of his remaining legs to have a good quality of life. We thank those of you who have donated. If you can please share this with your friends, it would most certainly help and be greatly appreciated! 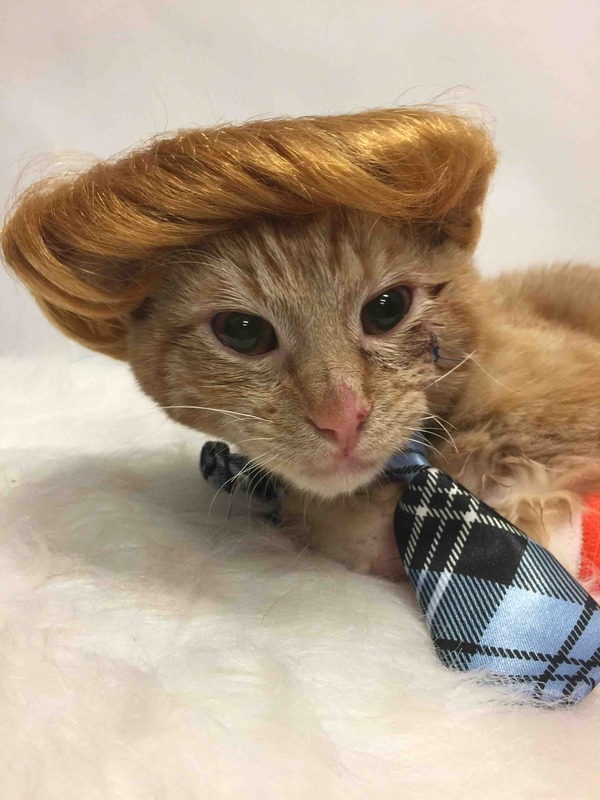 Meet the newest member of the Umbrella of Hope Family and an honorary Cat of Hazzard -- Pawnald Trump. 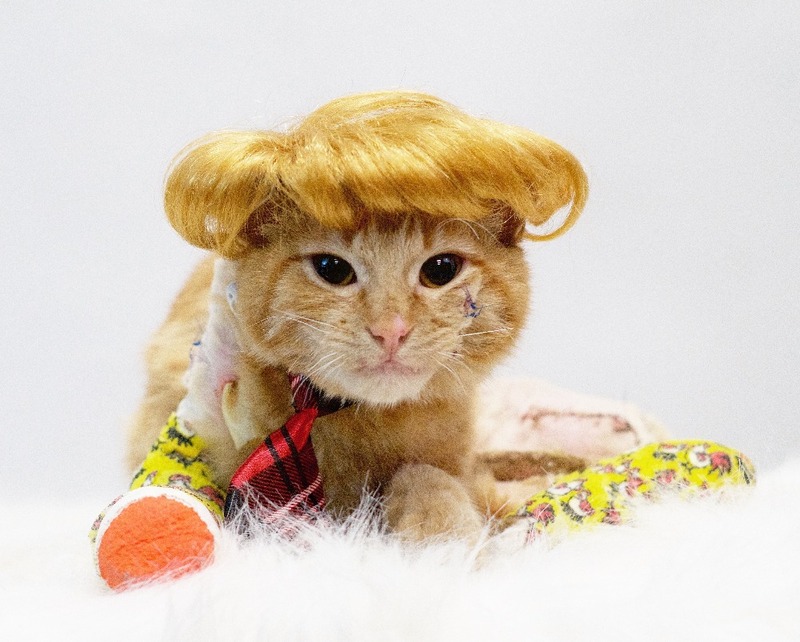 Pawnald Trump joins us from the San Jose Animal Shelter where he was brought in as a gravely injured stray. 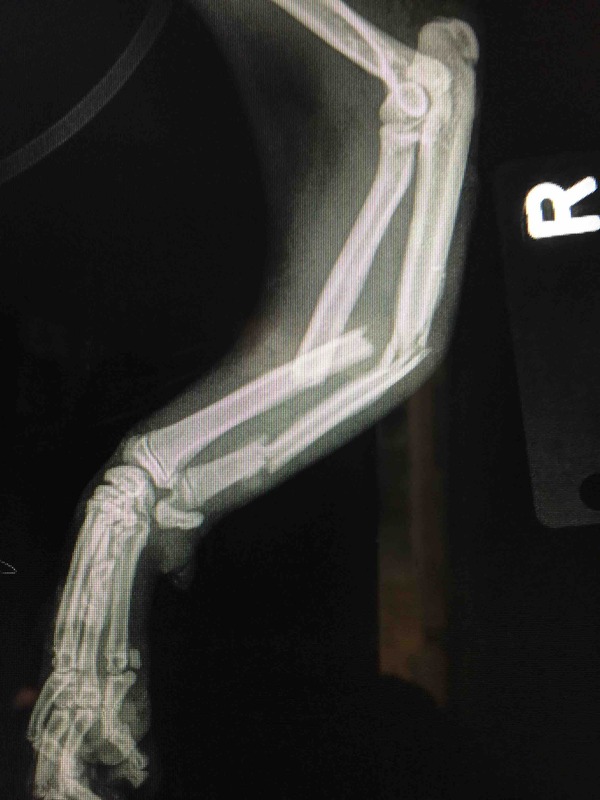 His left rear leg had been traumatically partially amputated, his tail was degloved, he is missing the Achilles' tendon on his right rear leg (it was torn away). His front right key is broken in three places and he has wounds down to the bone on his shoulder and face. It is likely that he was caught in some machinery or a fan belt of some type. 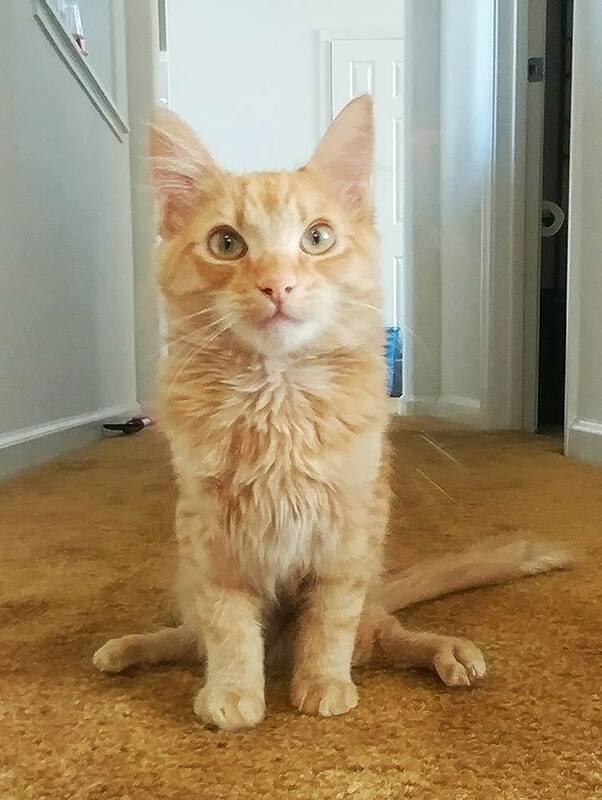 He had surgery to remove his horrific back left leg. His back right leg will require an external fixator to repair. 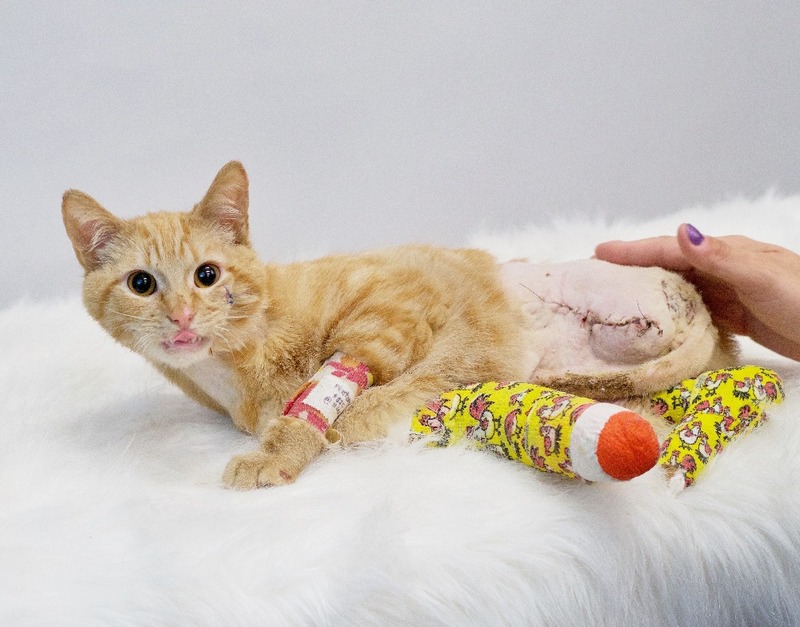 The surgeon *thinks* his front right leg can be saved with pins and/or a plate but we have to raise $7500 to give it a try and there are no guarantees. There are two legged cats who get along quite well and if that is the end result, we are okay with it. Throughout the entire ordeal, Pawnald Trump has been a trooper. He talks, he purrs... he makes muffins with his one good paw. 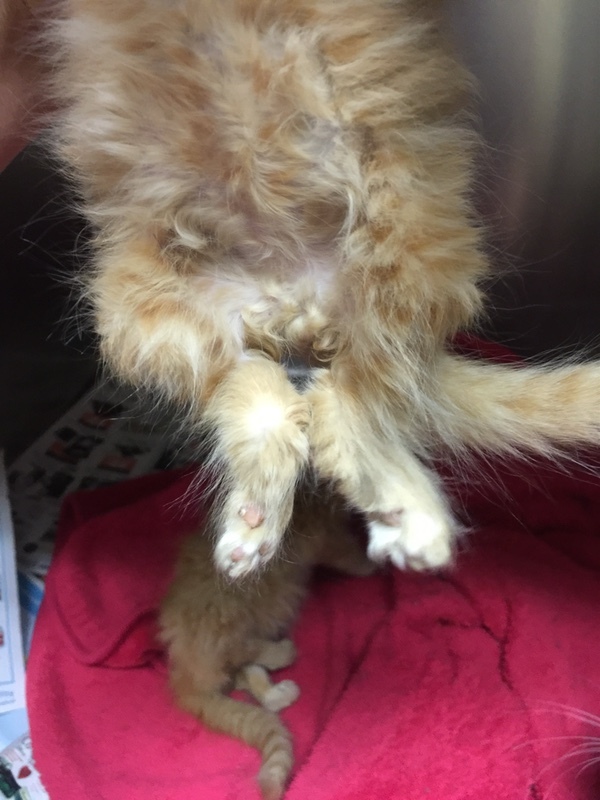 He is hospitalized on pain meds and fluids and antibiotics as we try to save him. He promises that if you help him, he will make Catmerica great again. He can be followed on social media (although please remember he JUST started the accounts) and daily updates will be posted there (we post weekly updates on Go Fund Me). Luke (who now goes by Lieutenant Dan) had been adopted! You know what they say - you don't pick them, they pick you. Well, this definitely holds true in Luke's case! No matter how hard the family tried to fight it, he made it very clear he wished to stay right where he was! 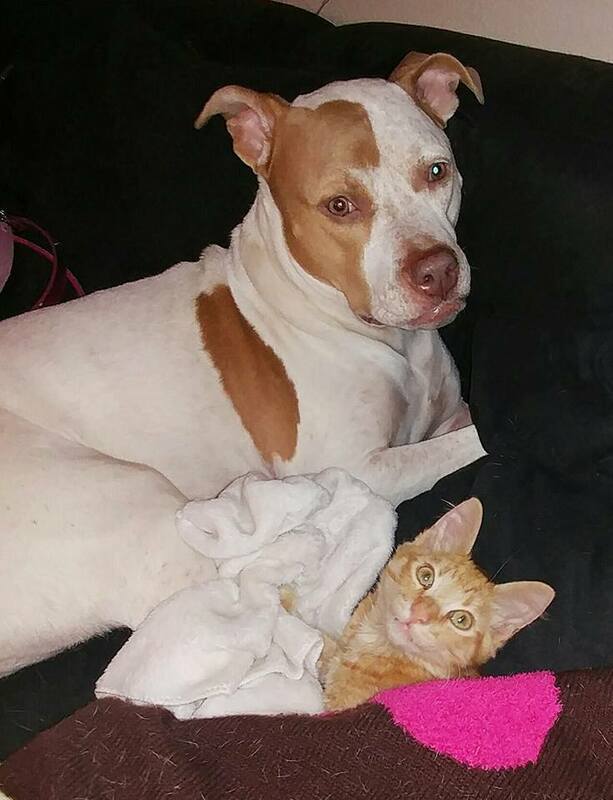 Luke buddied up to his foster sister (a Pit bull named Charvel) as soon as he came to live with them. Charvel always loves when there are kittens in her house that she can take care of, but she took a particular liking to Luke. 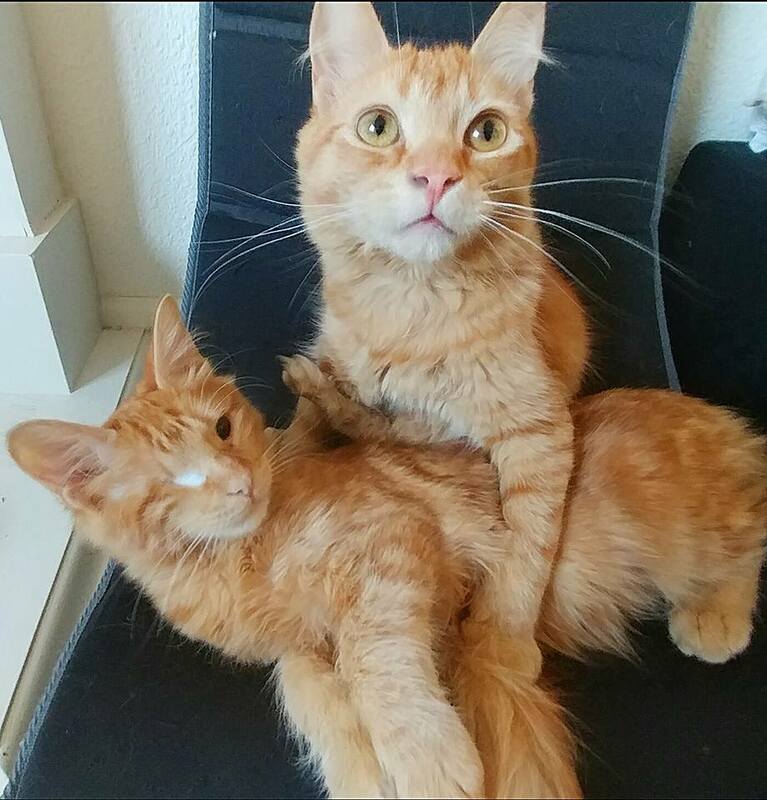 Shortly after The Cats of Hazzards arrival, Luke and Charvel became inseparable. They now sleep together every night and follow each other everywhere all day. But it's not just about Charvel. Luke also bonded right away with his foster mom - who again tried to fight it, but there was just no denying their love for each other! He now goes everywhere with her! He especially enjoys going along on walks with Charvel. And Home Depot. For some reason, he loves Home Depot. Gotta love pet-friendly businesses! Congratulations to Luke and his furever family! 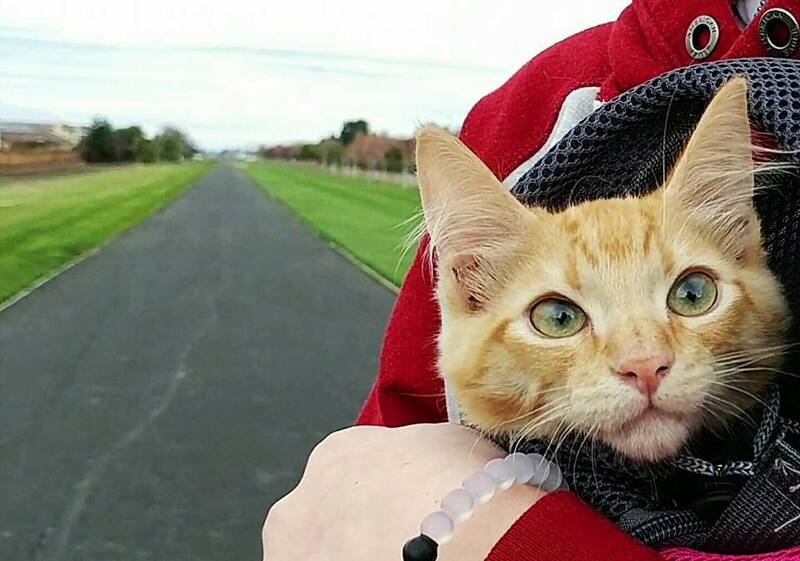 Be sure to follow The Cats of Hazzard on Instagram as their new families have promised to keep in touch so we can all continue to follow their journey as ambassadors for special needs adoptions! 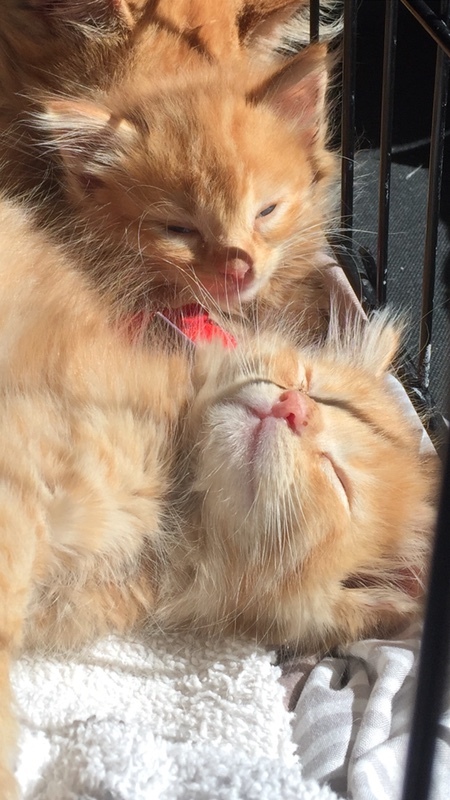 More happy news from The Cats of Hazzard! Bo and Jesse have been adopted! TOGETHER! 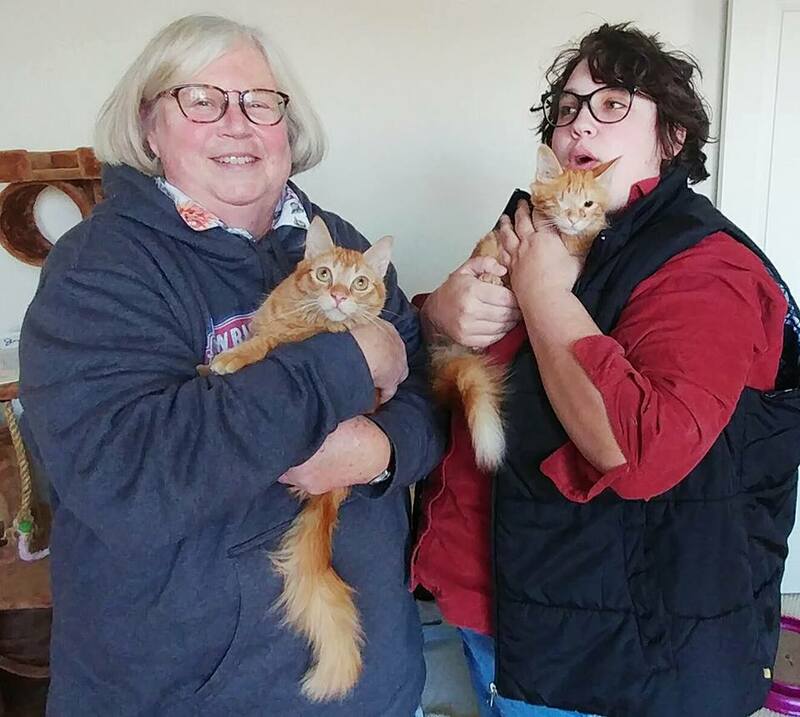 We are happy to tell you that Bo and Jesse have found their furever home with two very special ladies! Lillian and Ashley have extensive experience with special needs kitties having rescued many with similar issues as Bo and Jesse. They found the perfect home. We are told the boys are settling in well in their new environment and are slowly getting to meet the other furry friends they now share a home with, including not only other kitties, but a bunny and birds as well! They are taking in the new sights, sounds and smells with much curiosity and excitement! Lillian and Ashley have plans to keep the "special needs ambassadors" title going with Jesse and Bo by taking them to nursing homes and hospitals where they can be seen and loved by many for the special babies they are, hopefully encouraging others to consider adopting a special needs animal. (@catsofhazzard) page so you can do the same! Congratulations, Bo and Jesse on your new family, and congratulations to Lillian and Ashely on your new fur babies! We thank them and all of you for your support! Please remember that donations are tax-deductible and that every share usually equals about $35 in donations -- IT ADDS UP! Your donations will allow us to save more kitties like Uncle Jesse and Bo who are at risk of losing their lives in shelter situations. A $5 donation provides a vaccine. 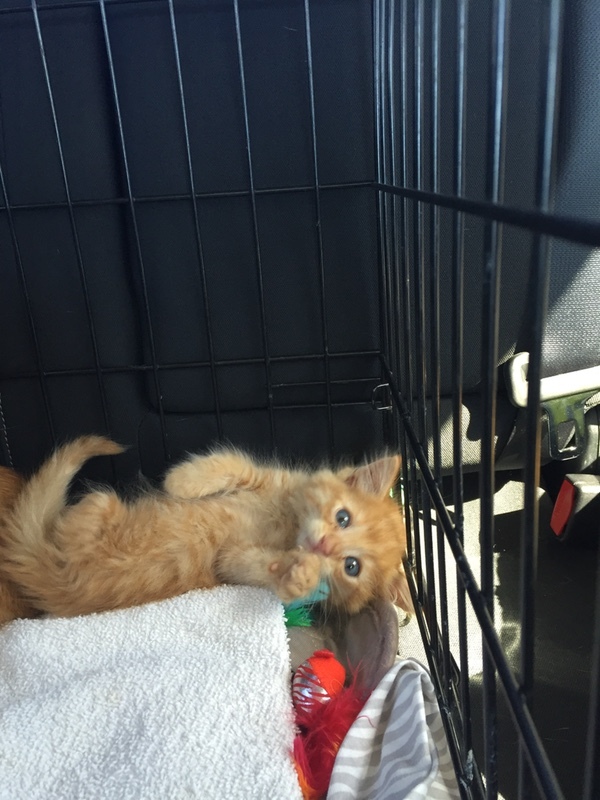 $10 feed a kitten for a week. $20 provides food, litter and supplies for a week. 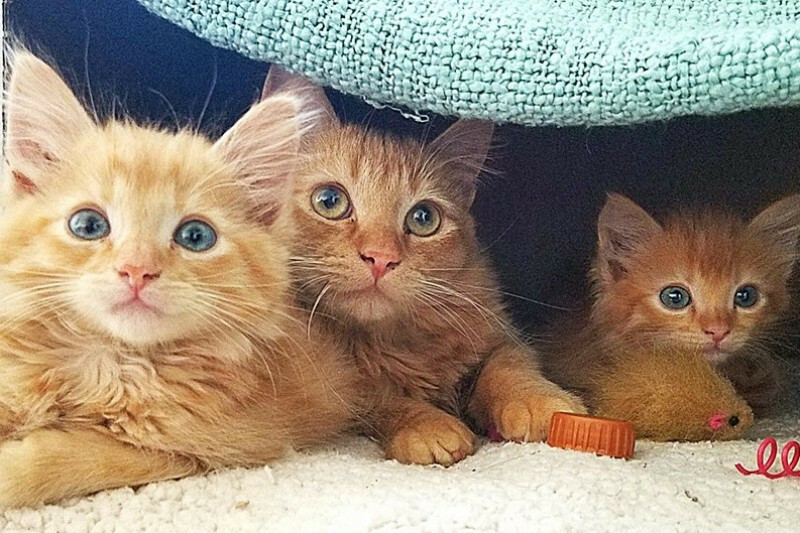 $100 is the average cost of a week in foster care for a litter of kittens with special needs. $250 is the average cost for a month of foster care for a litter without including anything needed for their special needs. 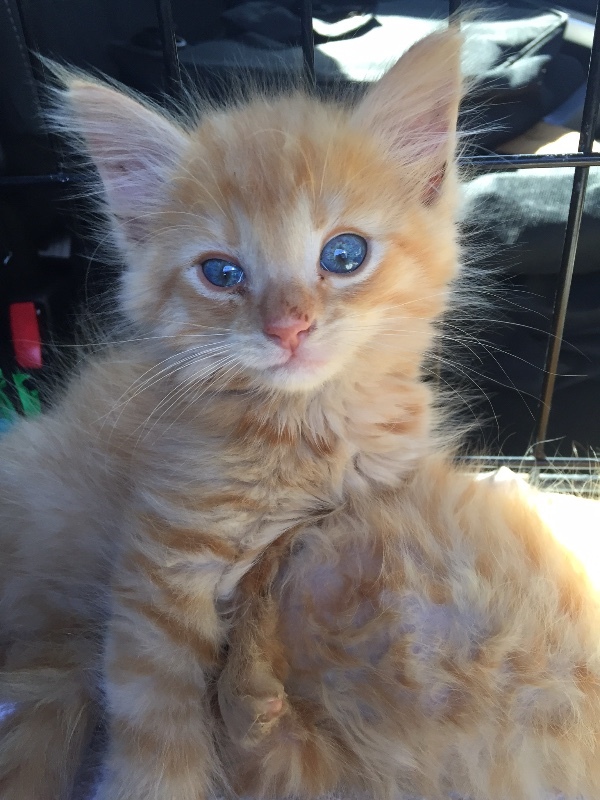 For every $500 raised, we are able to get 3 special needs kittens to safety and basic veterinary care. 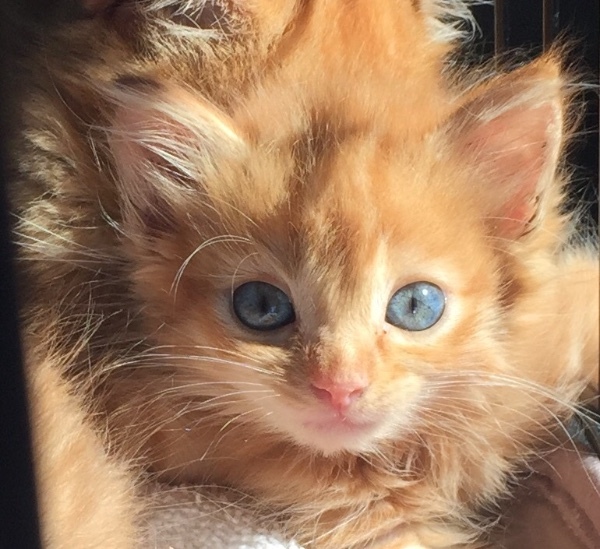 For every $1000 raised, we are able to provide those three kittens with diagnostic testing. Oh, my gosh, and now we have another adoption!!! YAY, Lieutenant Dan, CONGRATULATIONS, n'boy! This is really beautiful! !....I am speechless with relief and joy for this precious cat and the proud owner. Thank God!! These little ones are absolutely beautiful!! Thank you so very much for helping them as you did. 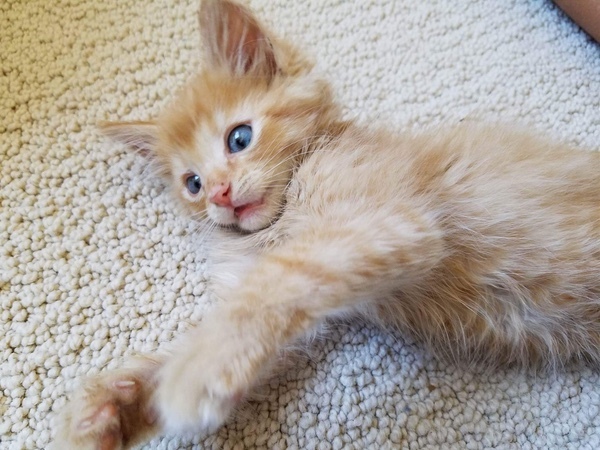 They play like frisky normal kittens!!! Words cannot express my sadness for your loss. You have given so much sacrifice, love and compassion to these precious cats. My sincere condolences. And I thank you all for everything you have done for these beautiful animals! So sorry. So sad. Thank you for all that you did for him. Wish there were more people like you in this world. God bless you and your wonderful work. I have 14 cats and 3 dogs all rescues. I also feed ferals in my community. Animals are a wonderful gift from God. I wish I could save them all!